We’re on the trail of a hydrocarbon big-kahuna in this edition of The Next Oil Rush. One aspirational ASX-listed gas developer is on the cusp of spudding its first well, searching for around 1 trillion cubic feet (Tcf) of recoverable gas largely overlooked and certainly underexplored by distracted majors. ...and may only have to spend around $700,000 to make it a reality. So what is the substance to these claims? The scene of this company’s audacious attempt to pip much larger developers to its 1 Tcf prize is the Sacramento Basin in California — a place not necessarily synonymous with hydrocarbon production. The Golden State is much better known for its tech whizz-kids, tech companies and semiconductors, so you might be surprised to learn that California has the largest oil producing US county outside Alaska. Today’s company, which boasts a very tight share register, has taken up a great position with easy access to a world-class market. It is looking to rank in the top two for production in the Sacramento Basin if it can deliver a flow rate of just 2.5 million cubic feet of gas per day from a combination of existing wells and the imminent well on its Dempsey Project. The company is already ranked in the top three producers in the Basin. To do this the company is working in a joint venture capacity with three farm-in partners, who have collectively reduced this company’s capex requirement by around 80%. So, while this company is the majority holder in most of its prospects, its farm-in partners are picking up the bill for a lot more than their share of the stakes. This company’s Californian mission is a clear case of being at the right place, at the right time, and paying attention where others have failed to do so. Having bagged a handful of overlooked prospects over the past couple of years, the company’s drill-bit is bristling with intent. ...and as hydrocarbon-savvy investors already know — if this company manages to find gas followed by good flow/pressure rates from its initial well, its valuation could be significantly amplified. Of course, there are no guarantees in oil and gas, especially when spudding new wells, so investors should seek professional financial advice if considering this stock for their portfolio. As you’ll soon see, this company’s management team has removed a great deal of uncertainty by getting into a great location, striking a series of well-priced JV deals, and most importantly, possessing a solid portfolio of prospects adjacent to existing gas fields with pipeline access and extensive production histories. Oh, and did we mention that despite its junior-status, this aspirational gas goliath was already in production, with ten existing wells producing around 860 Mcf per day? ...remains valued at AU$20 million. 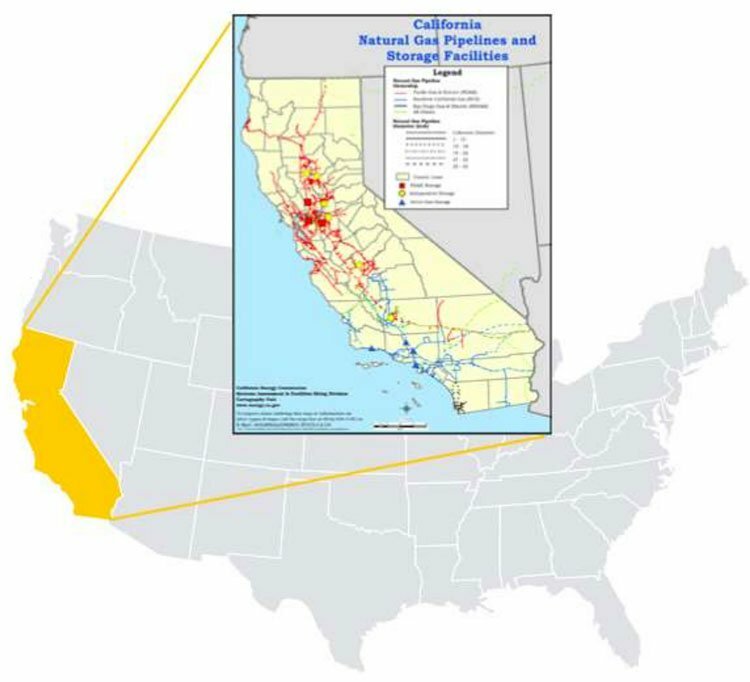 SGC’s entire business plan is focused on one region, and one region only: the Sacramento Basin of California. ...whilst only spending US$700,000 of its own money. This is possible because the world’s major gas producers are busy elsewhere, and haven’t had the time or inclination to explore California’s gas potential. Further good cheer comes from the fact that California currently imports over 90% of its gas. This means future production by SGC is likely to be in hot demand — and could command a market premium given the location. To put that into perspective, the Sacramento Basin has produced over 11 Tcf of gas in its history, yet continues producing at a declining rate, so this region imports the vast majority of its gas. Could SGC disrupt this status-quo and help redress the hydrocarbon demand and supply balance in America’s biggest state? From a macro perspective, do bear in mind that the current political climate in the US (and elsewhere) has more than just an undercurrent of protectionism about it. Courtesy of ‘Trumpenomics”, the US is now on the lookout for domestic sources of energy, labour and capital — not content with importing everything from Mexico and China. So too with natural gas. California has a long-list of features that make gas exploration/production amenable, economic and straight-forward from a technical perspective. It is not merely a state in the United States — its relative size makes it the sixth largest economy in the world if measured on its own. As it stands, California imports 90% of its natural gas, and if Donald Trump and SGC have their way, California will be producing 100%+ of its gas with some left over for export. That’s a great market climate for SGC to be sailing into, at this early stage of its development. As you can see, SGC’s location could hardly be any more central; its Dempsey and Alvarez projects are directly at the epicentre of the historical gas extravaganza in the Sacramento Basin. SGC has two flagship projects (Dempsey and Alvares) and multiple follow-ups, on which it plans to make exploration progress this quarter. The ultimate target is an aggregated total of over 5 trillion cubic feet of conventional natural gas. 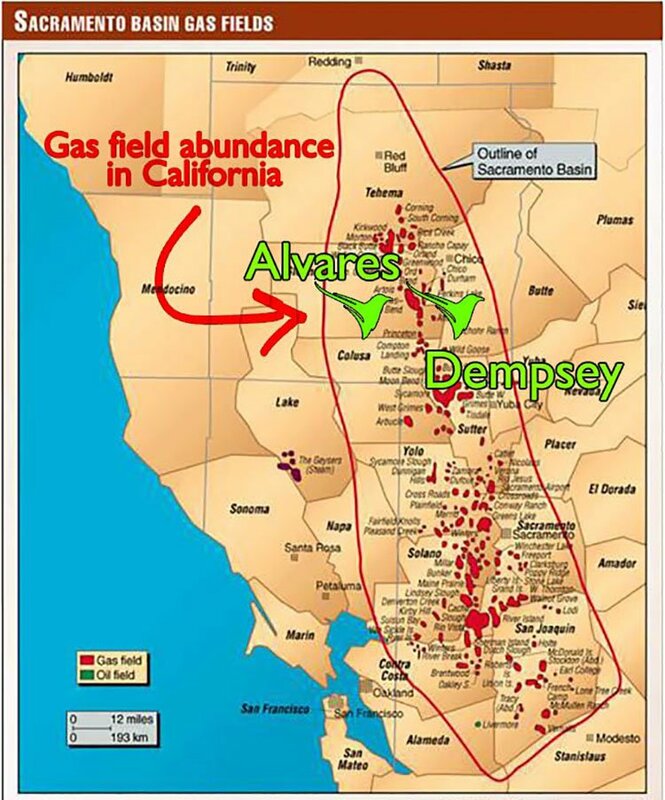 With California firmly in SGC’s crosshairs, let’s go through Dempsey and Alvares in some detail, to see if SGC has a decent chance of cutting the mustard in the Sacramento Basin. The Dempsey natural gas Project is SGC’s flagship Project and remains the near-term focus in terms of both development and upcoming drilling activity. The Dempsey Project has the potential for near-term natural gas production because it is located below existing SGC production facilities. Permitting activities have been finalised in preparation for commencement of drilling in July 2017 — that could be just days away. If successful, SGC has the potential to raise its valuation rather quickly. 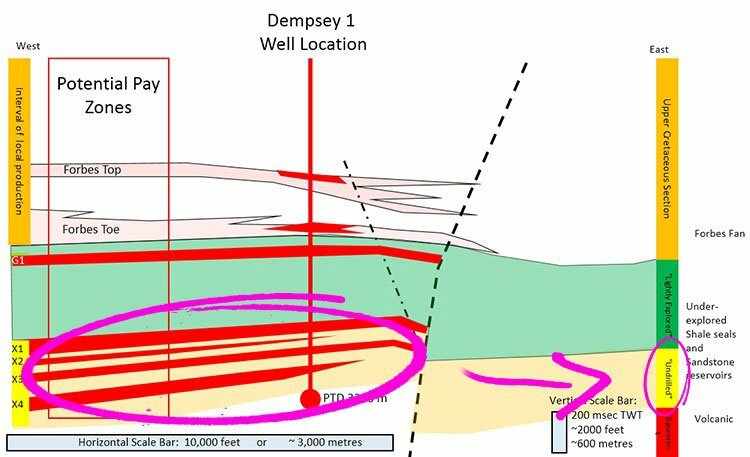 The Dempsey Project has a Proposed Total Depth of 3,200 metres and is anticipated to take less than 45 days to drill with drilling and completion costs estimated to be between US$3.0 and US$4.5 million. 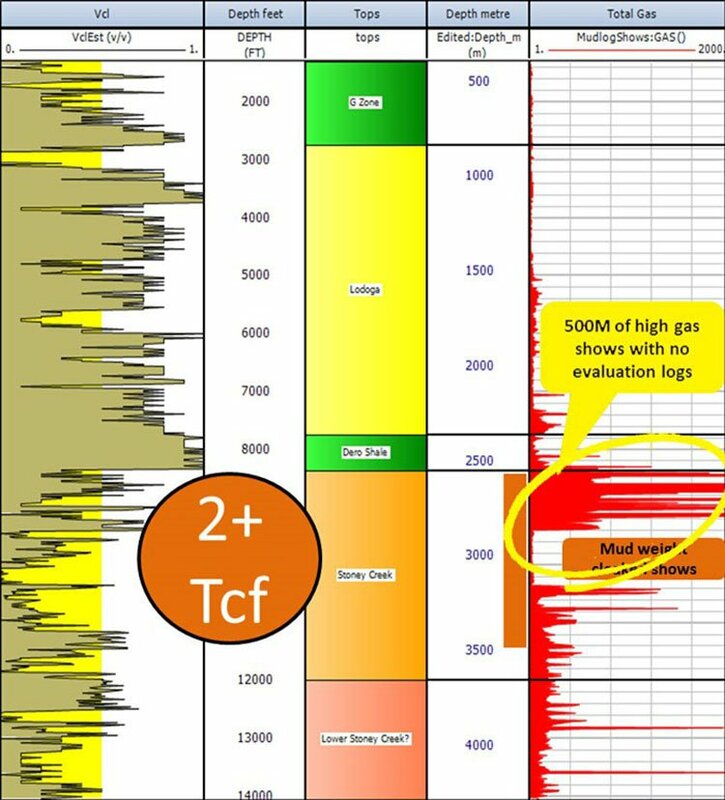 The total un-risked recoverable prospective resource at the Dempsey Project is over 1 Tcf. Using an industry standard energy based conversion factor of 6 mcf per barrels of oil equivalent (boe), that’s over 167 million boe . The first well on SGC’s to-do list is Dempsey 1. The Dempsey 1 well will be located within a proven gas field area with existing infrastructure that’s easily accessible. Should commercial quantities of gas be found, existing production facilities connected to the interstate pipeline networks could be used to move this newly discovered gas to market within weeks, rather than months or years. As you can see, circled in pink, SGC’s focus is less-so on the known rocks (above the shaded green) and more-so on what lies beneath: five identified strata of undrilled sandstone (G1,X1, X2, X3, X4), which have been confirmed through historical data analysis and pre-drill 3D seismic assessments of Dempsey. 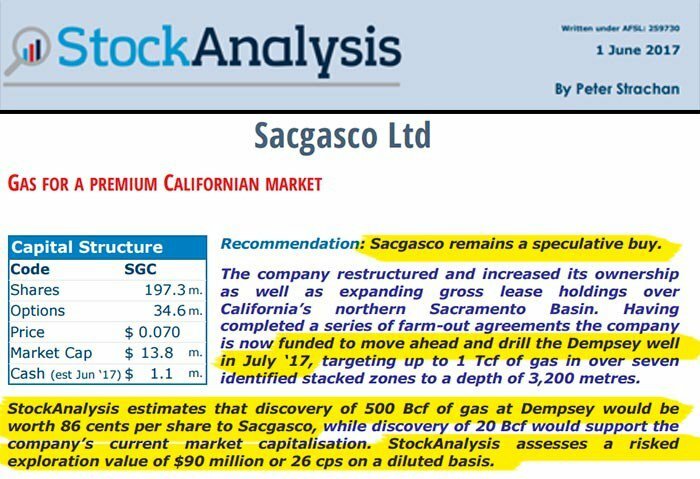 As we’ve already said, SGC’s drill date is set for July 2017 — so Dempsey 1 represents the most likely catalyst capable of sparking a re-rating of SGC shares. The next project adding wind to SGC’s sails is Alvares. The Alvares natural gas Project is located close to large natural gas pipelines and is on trend 30 miles from the geologically similar multi-Tcf Tulainyo Project. One factor we’re very keen to note is Tulainyo. Tulainyo is a significant gas project being developed by California Resources (NYSE: CRC) and Cirque (private), with recent work done in 2015 after Shell’s initial exploration for oil way back in the 1940s. Tulainyo is reported to have found multiple stacked gas-filled conventional sandstone reservoirs on a huge structure. This has attracted massive farm-out terms, ranging from paying 100% of well costs to earn 6% in the follow-up well, to paying 100% of 3 wells costs to earn 33.3% interest in the structure. The information gathered in 2015 must be pretty compelling. Sacgasco interpret the strata of interest at Tulainyo to be the same age as the potential treasure strata at Dempsey, while the Tulainyo structure is similar in style to, and on trend with Sacgasco’s Alvares project. The Alvares Project is based on the Alvares-1 gas discovery well, overlooked while drilling for oil in 1982. Alvares intersected a large column of high pressure gas. This prospect is mapped as a large gas trap and confidence is high that gas flow rates will be economic and conducive for further development work. The project is estimated to have a total un-risked recoverable prospective resource on a best estimate basis of approximately 2.4 Tcf (400 million boe) in the gas filled strata circled in yellow at around 2,500 to 3,000 metres below the surface. So with the potential initial prize of 40% to 50% (SGC share) of over 3 Tcf of pipeline quality natural gas firmly in its sights, let’s have a look at how much all this could cost SGC. SGC has attracted a slew of JV partners, all with bespoke JV deals that ensure SGC’s forward progress is well-funded and financial risks mitigated as much as possible. To get Dempsey 1 drilled and assessed, SGC is fully funded. Moving forward, there is another factor that will keep SGC’s coffers stocked: existing production. 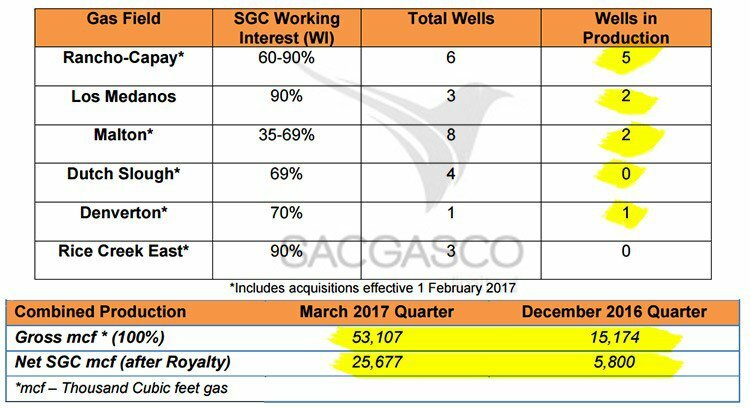 SGC is already producing gas from ten active wells. Here’s the snapshot of SGC’s existing production, with 53,107 Mcf and 25,677 net Mcf produced in the March 2017 quarter alone. If SGC is successful with its Dempsey 1 spud, these production figures are likely to be revised very quickly and should see SGC moving towards significant cash flow status. Production rates are already ticking higher, and Dempsey 1 could add further gusto to SGC’s resource-building mission in California. The plan is to plough the proceeds of any gas sales from Dempsey 1, directly into further development, and using existing production to fund, and facilities to provide access for future exploration success and resultant production. Speaking of the foreseeable future, SGC’s developmental course is set. One factor investors should check-up on before committing any capital to a stock, is management. Does the small-cap stock have the leadership, technical expertise and industry know-how required, to get its projects into production? In the case of SGC, there’s a bonus that may just tilt the balance of probability in its favour. SGC’s Managing Director is Gary Jeffery, a fully-fledged geologist/ geophysicist with bundles of experience and most importantly, a dab hand at evaluating projects at an early stage of development. It’s not all that often you’ll see Managing Directors hailing from “geo” backgrounds, but when you do, it supports a company’s aspiration and its ability to deliver on promises to shareholders. Financiers tend to under-estimate the importance of geological substance. While geologists often under-estimate the importance of project funding and the political manoeuvrings required for any successful business venture in resources. At SGC, there’s no better person to spearhead SGC’s development in California than Jeffery, who’s experience in big gas helped spot the world-class opportunity in Sacramento. Strong management is recommended for any small-cap stock to be successful, but in resources this aspect is essential. 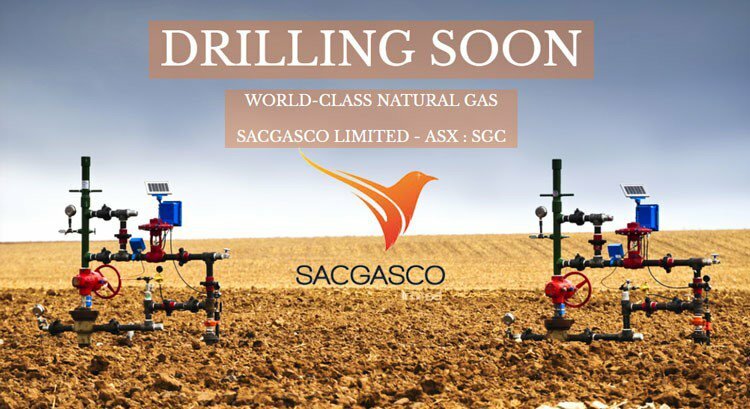 In SGC’s case, this is backed up by extensive on the ground drilling and project development experience and a wily and well-connected board, and US-experienced JV team. Combined this group has the wares to realise the value hidden in the convention reservoirs of the Sacramento Basin. If we turn to analyst assessments of SGC, it seems the same factors that we’ve latched onto as signs of future success have been picked up by Peter Strachan from StockAnalysis, an independent research house based in Australia. 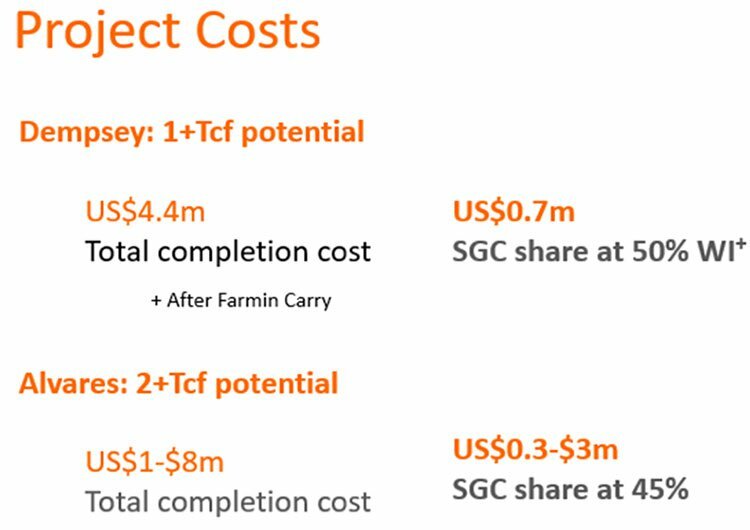 If SGC is able to tap just half of its current target (500 Bcf from the 1 Tcf targeted), it would be worth $262 million to the company, or 86 cents per share. That compares to the current share price of $0.10 per share, which would be supported with a discovery of just 20 Bcf. Of course, broker projections and price targets are only estimates and may not be met. So rather than clenching with anxiety regarding the upcoming spud date, SGC has plenty of slack to raise its overall valuation — even if it doesn’t hit its top-line estimates — a rather neat position to be in for a company currently worth just A$20 million and priced at $0.10 per share. SGC is small-but-sturdy natural gas play with huge forward-looking potential. Already, SGC has around 3 Tcf firmly in its sights, and a cornerstone well about to be drilled at its flagship Dempsey Project. This effectively means that SGC is now at the proverbial crossroads in terms of its near-term production and longer-term development. SGC can proudly claim that it is fully-funded to test Dempsey and confirm once and for all just how much natural gas this location will deliver (as measured by flow rates and other technical data recorded after this month’s spud date). For us here at The Next Oil Rush , that represents a possible revaluation opportunity, as long as SGC keeps up its end of the bargain and delivers steady flow rates from its upcoming spud. More broadly, SGC is acquiring further land tenure and keeping its pipeline of prospects well stocked. The recent acquisition of 18 additional operated natural gas wells in the Sacramento Basin, means SGC is now a top-three natural gas producer in the entire Sacramento Basin. 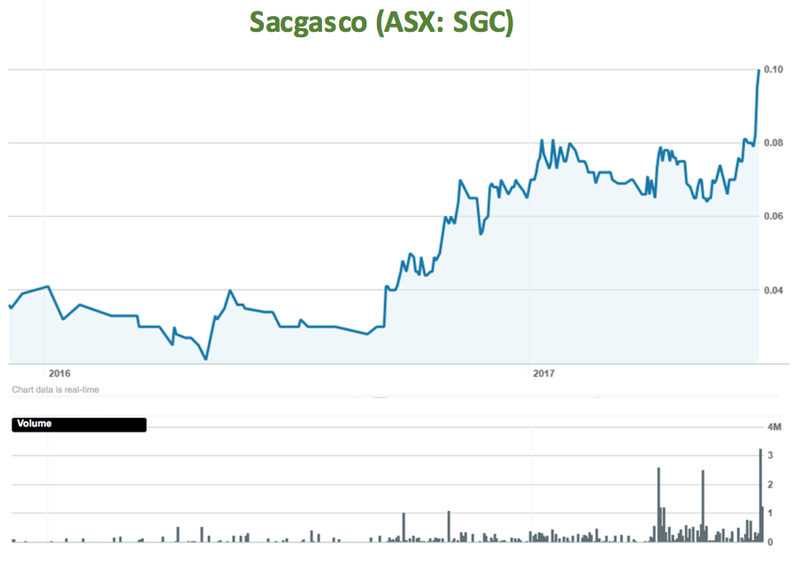 This leading position in the region, for a company of SGC’s relative size, could be a huge bonus for shareholders. However, this remains a speculative stock and investors should seek professional financial advice if considering this stock for their portfolio. SGC’s well portfolio now stands at 27 with ten already in production. These existing wells are also being optimised and will continue to add to SGC’s coffers for years to come. ...and an opportunity for SGC to come in and take commercial advantage. 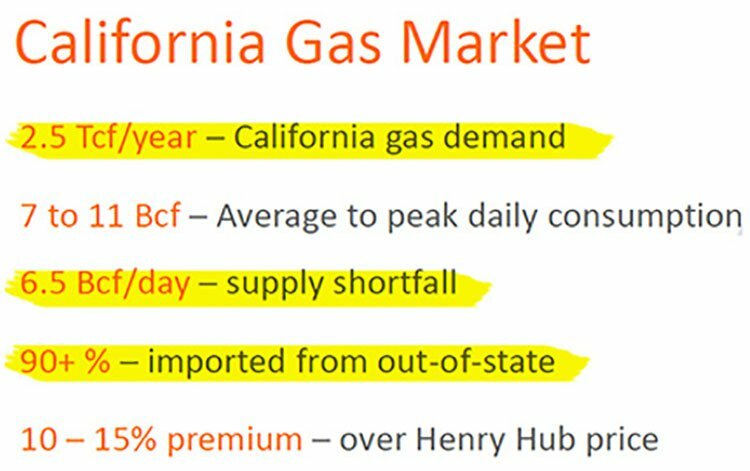 California produces less than 10% of its total gas requirement, but has the potential to produce in excess of 100% with spare capacity available for exports. The blue sky with SGC is derived from the fact that each one of SGC’s prospects has the bulk potential to transform the current rate of natural gas production in the Sacramento Basin — just on its own. But if we collate all of SGC’s prospects, cost-cutting JV deals and a continued appetite to acquire more tenure — we could be looking at the most productive natural gas company in California, at least on a relative pound-for-pound basis, at this early stage. As a natural gas developer, SGC has three key targets. 3) deliver to its shareholders, the commercial spoils of fast-tracking a natural gas renaissance in America’s largest state.